This is my sister's cat. - Just love me or leave me alone. She is skitish, so it was extremely difficult to get a picture of her sleeping. None of the pictures I have of her awake are very good. 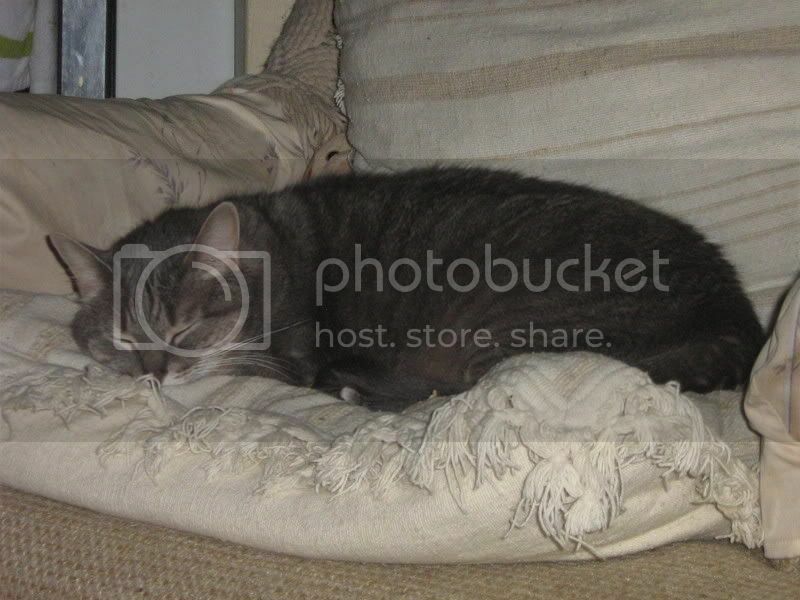 i LOVE pics of kitties sleeping! :P You already have enough kittehs. I'm glad you used the word skittish. She's cute. How old? She is just about 5 years old.